Pioneer DJ has released a new documentary called Under A Strobe Lit Sky, exploring how music festivals became a global phenomenon. Festivals have grown into a hugely popular facet of the music events industry, with around 3.5 million people attending the 1000+ number of festivals that take place in the UK alone each year. 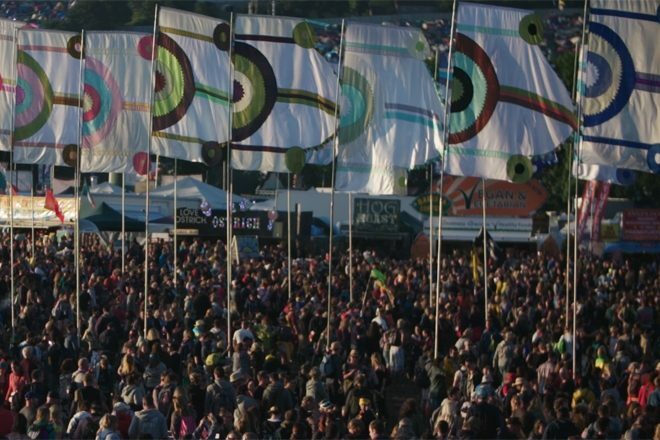 A number of festival organisers and industry experts from across the world are interviewed in the documentary, including Glastonbury festival’s Michael and Emily Eavis and Love International founders Dave Harvey and Tom Paine. Artists who play regularly on the festival circuit are also featured, including Eats Everything, NERVO and Rudimental members Piers Aggett and Amir Amor. The 30-minute documentary investigates how the scene has evolved from primitive beginning to big budget productions offering a kaleidoscopic range of activities beyond music, how festivals compare to clubs, and the impact festivals have on artist’s careers. DVS1: "Festivals do not bring out the best in artists"
Reports say “more people are going to festivals than ever before"